Born in 1957, John Martin first studied at Hornsey College of Art before obtaining a First Class Honours degree at Exeter College of Art. He went on to study at the Royal Academy Schools under Peter Greenham, gaining a Postgraduate Diploma. His work is in the line of traditional figurative painting, influenced by the Camden Town Group, particularly the work of Walter Sickert, Harold Gilman and Spencer Gore. John’s paintings reflect a sense of place and atmosphere. Brian Sewell, art critic, said of John’s work: “The gentle honesty of his observation and a technique that matches it produce paintings without irritating mannerisms or striving effects”. John Martin was elected a member of the Royal Society of British Artists in 1991 and has been the recipient of many awards, including Stowells of Chelsea prize winner, David Murray Landscape Scholarship, WH Patterson Prize, the Fabrica Painting Prize and The Winsor and Newton Best Artist Award. More recently, John was awarded the de Laszlo medal at the RBA. 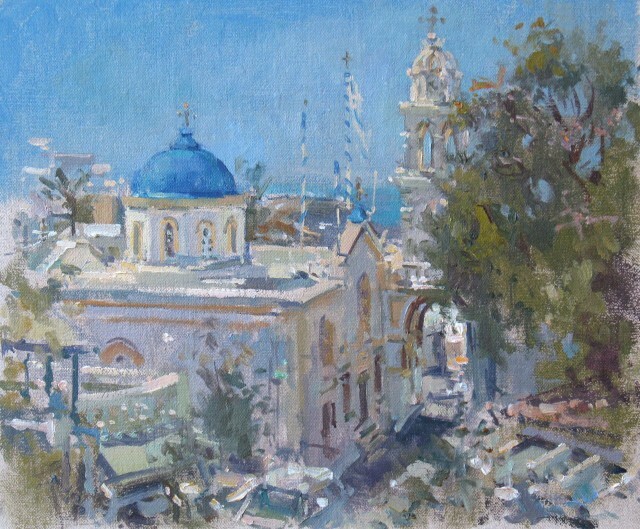 John has exhibited extensively both in the United Kingdom and abroad and his work is in many private and public collections. His paintings have also featured in The Tatler Magazine, the Daily Telegraph, The Sunday Times and the International Artists Magazine.